The Fayette County All-N-One 4-H Club provided cookies for the American Red Cross Blood Drive which was held on Feb. 14 at the Grace United Methodist Church. This is one of several Community Service Projects we do as a 4-H Club. Our Community Service Leader is Peyton Johnson. The cookies were received by Marlene Rankin and Miracle Holsinger. 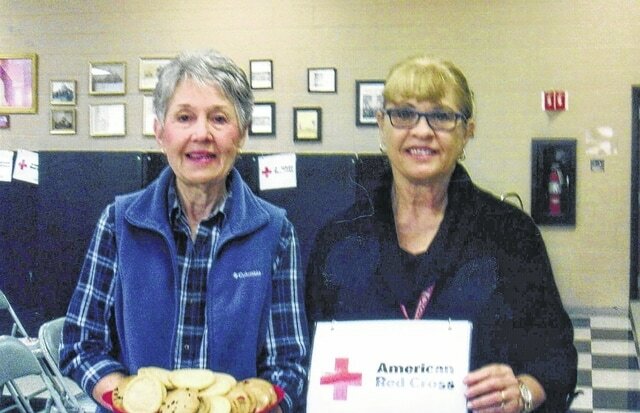 https://www.recordherald.com/wp-content/uploads/sites/27/2017/02/web1_img530.jpgThe Fayette County All-N-One 4-H Club provided cookies for the American Red Cross Blood Drive which was held on Feb. 14 at the Grace United Methodist Church. This is one of several Community Service Projects we do as a 4-H Club. Our Community Service Leader is Peyton Johnson. The cookies were received by Marlene Rankin and Miracle Holsinger.